Stairway lighting fixtures – Stairways, especially those in poorly lit areas of a building can be extremely dangerous. Hundreds of people each each year are seriously injured from falling down stairs. Placing stair lighting fixtures strategically in your staircases making your stairs safer and showing off your staircase as an attractive architectural feature of your home. 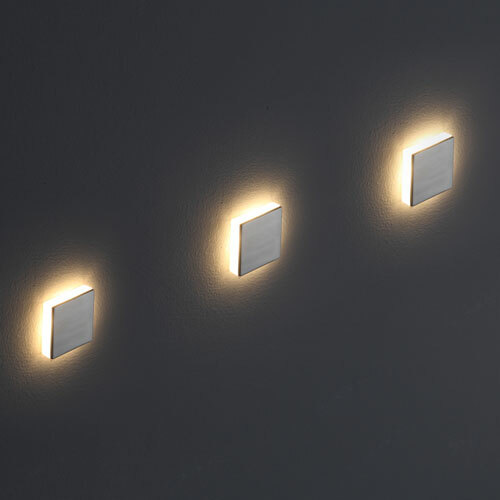 While wall lights placed along the walls of a staircase can provide some light, the best stairwell lights are those lights place so that shine directly on each step. Stairway lighting fixtures come in a variety of styles and materials, but most stair lights have the following things in common. Stairway lighting fixtures are normally placed low on the wall next to each step or on directly on the face of the stairs. Stair tread lighting or stair well lights are recessed into the wall or the step to avoid people who are using the stairs from tripping over the lights. These lights normally cast a gentle glow that washes the steps with soft light. Stair lights work best when used placed to shine on each individual step or on every couple of steps. One of these lights simply won’t provide the safety you need. Stairway lighting fixtures or stair tread lights can increase the beauty of your home or business, especially if your staircase itself is a work of art. Stair lights can draw attention to the beauty of your staircase by drawing attention to your staircase and showing it off to its best advantage. Stair lights can also increase the value of your building whether that building is a business or a home. If you are selling your home and business potential buyers are going to be willing to pay more for a building that has stairwell lighting due to the increased safety and attractiveness these lights bring to your building interior. Most modern stairway lighting fixtures are designed for LED lights. There are several reasons why LED lighting is the best choice. For starters they are more energy efficient than standard lighting fixtures using less electricity and producing more light and less heat. In addition LED lighting needs less maintenance since LED lights will burn for 20,000 hours, which is 20 times longer than standard light bulbs. These lights are also better for the environment since these lights are completely recyclable. Here at Ultra Beam Lighting we have a variety of unique and ultra modern LED stair lights that can be mounted both on the wall besides your stairs or at the front of the stairs. All of our lighting uses the latest LED technology and are extremely high quality fixtures. Our Lighting also comes with a 3 year guarantee. As with any lighting, when installing LED stairway lighting fixtures make sure that you have a qualified electrician install your lighting for you. To view our selection of stair tread lighting please browse our website or give us a call at 0800-678-5156. Stairway lighting fixtures - Stairways, especially those in poorly lit areas of a building can be extremely dangerous. Hundreds of people each each year are seriously injured from falling down stairs. Placing stair lighting fixtures strategically in your staircases making your stairs safer and showing off your staircase as an attractive architectural feature of your home.